Cream shortening, sugars, eggs and vanilla. 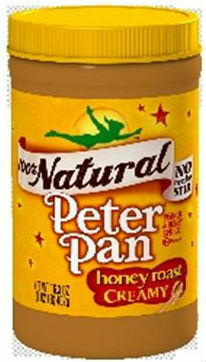 Stir in Peter Pan Peanut Butter. Sift dry ingredients, stir into creamed mixture. Shape 1 teaspoon of dough. Press into slim S-shape and place on ungreased cooky4 sheet. Insert peanut in end of dough. Press dough with back of fork to make criss-cross. Bake in 350° oven about 10 minutes. Makes about 5 dozen cookies. 1. And you can't spell twelfth without ELF. 2. If you want a sense of what's ahead in the coming weeks, here's the Guide to Papergreat's Christmas 2011 posts. 3. 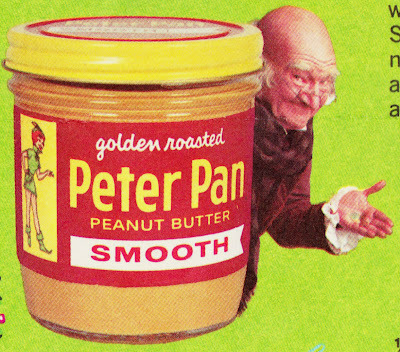 According to Wikipedia, Peter Pan peanut butter, which dates to 1920, was originally packaged in a tin can with a turn key. During World War II, the packaging switched to glass jars because of metal shortages. And in 1988, again according to Wikipedia, Peter Pan became the first brand of peanut butter to be packaged and sold in plastic jars. 4. Cooky? Suddenly they're using a Middle Scots spelling of the word? Wow, I would have guessed earlier on the switch to plastic jars! 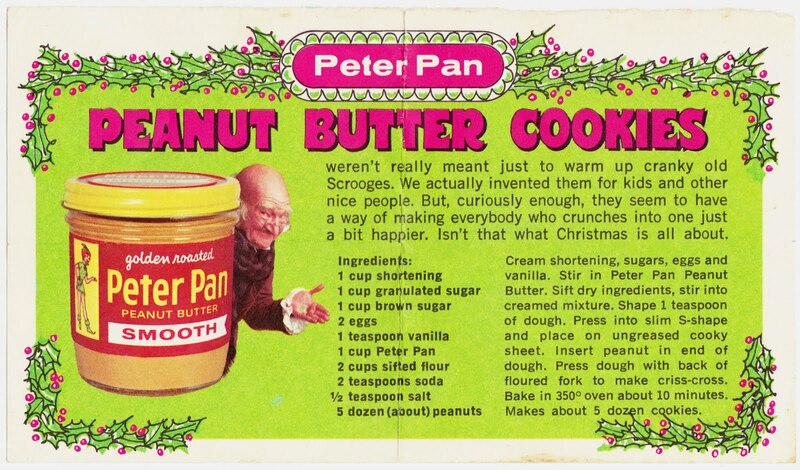 I still think the 1 egg + 1 cup of sugar + 1 cup of PB recipe trumps all. However, I will eat any PB cookie you put in front of me. I love peanut butter!